Jim McTigue and Valerie Tyler, co-chairs of the 133rd AES Convention, have brought together a raft of industry pros for the event’s Live Sound Track, as this year’s show takes a close look at the world of live sound. The Women of Professional Concert Sound: Chair, Terri Winston, Women’s Audio Mission; FOH Engineer Panelists: Claudia Engelhart, (Bill Frisell, Herbie Hancock, Wayne Shorter); Deanne Franklin, (Tom Waits, David Byrne, Pink); Michelle Sabolchick Pettinato, (Gwen Stefani, Jewel, Melissa Etheridge): Drawing from their experience running sound in major venues around the world, these distaff engineers will share their tips and tricks; explore an ‘average’ day on a world tour; describe tweaking the acoustics of dissimilar venues; and offer insights into managing a life of constant touring. Acoustics For Small Live Sound Venues – Creating (& Fine-Tuning) The Consummate Performing/Listening Environment: Chair John Storyk, Walters-Storyk Design Group; Panelist, David Kotch, independent project engineer. Architects, acousticians and designers of significant small (and large) contemporary live performance venues, WSDG credits include NY’s Le Poisson Rouge, Dizzy’s Club Coca Cola (Jazz At Lincoln Center), the Rockwood Music Hall, 54 BELOW and most recently The Fenix Club, opening this month in San Rafael. This Workshop will address effective solutions for eliminating noise leakage out of and into the venue, innovative acoustic treatments, room tuning and realistic programs for accessing club site selection. 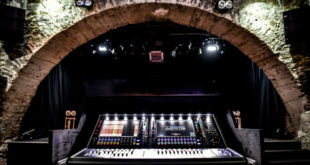 Live Sound Engineering – The Juxtaposition of Art and Science: Chair, Chuck Knowledge, Chucknology, SF: The technical foundations of audio engineering are no longer enough to deliver the experiences demanded by concertgoers. This session presents an examination of the disciplines required for modern live event production. In addition to practical engineering challenges and considerations for the artist’s desire to push the technological envelope, issues to be covered include: Transplanting studio production to the live arena; Computer-based solutions and infrastructure requirements; The symbiosis between lighting and video. And, new career paths. Tuning a Loudspeaker Installation: Chair, Jamie Anderson, Rational Acoustics – Panel TBA: Loudspeaker systems are designed to achieve functional and aesthetic goals. Tuning those systems is the final step in achieving those aims. Beyond EQ/DSP tweaking, system alignment encompasses critical decisions made throughout the design, installation, drive adjustment and application processes. This panel will discuss their procedures, priorities and, the critical elements that make their alignment goals achievable. 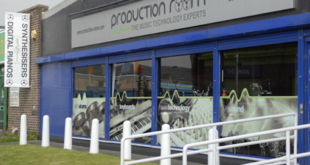 Planning a Live Sound Education – Should I Study The Theory, or Practice The Skills? Chair, Ted Leamy, Promedia-Ultrasound: Panelists, Kevin W. Becka, Conservatory of Recording Arts and Sciences/Mix Magazine; Michael Jackson, Independent Live Sound Engineer; David Scheirman, Harman Professional: Acquiring the right education for a career in live audio is a challenging proposition. Which is better, a formal education or hitting the road and earning while you learn? Education options being marketed today are overwhelming. School programs, manufacturer training, product user certifications … These industry veterans will launch a lively investigation of the alternatives for acquiring wisdom and chops. Live Sound For Corporate Events: It’s Business Time: Chair, Michael (Bink) Knowles; Panelist Steve Ratcliff: Two leading independent engineers will discuss the level of perfection required by corporate events in an environment where video screens and lighting plots often take precedence over loudspeaker placement. Related onsite events creating feedback challenges can complicate signal flow and mixing. Mixing, routing and arraying strategies will be addressed. Audio DSP In Unreal-Time, Real-Time and Live Settings: Chair, Robert Bristow-Johnson, audioImagination; Panelist, Kevin Gross, AVA Networks – There are two primary audio DSP problem areas: The Algorithm – What the sound and math needs to accomplish; and, Housekeeping – the “guzzintas,” “guzzoutas” and related overhead. Other key issues include the variable aspects of audio processing. This presentation will provide a realistic definition of “real-time,” and explore common and ‘innovative’ tricks for getting ‘non-real-time’ algorithms to act in a real time context. The Art of Sound For Live Jazz Performances: Chair, Lee Brenkman; Panelists: Mitch Grant, independent engineer for San Diego area jazz events; and Nick Malgieri, mixer for Monterey Jazz Festival events: A discussion of the sonic presentation of America’s native musical art form in settings ranging from intimate cafes and night clubs to large outdoor festivals. Panellists will focus on how sound reinforcement for jazz can differ from other genres.